Do you want to become a reviewer of our Editorial Board? Scientific Cyprus Journal will publish a special issue devoted to historical and archaeological aspects of Mediterranean World. Deadline of submission is November 2010. 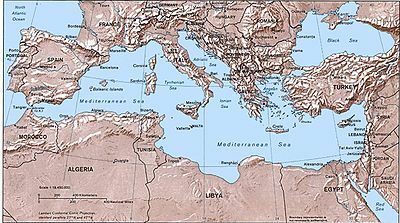 Experts, researchers and specialists in various areas of Mediterranean History and Archaeology will publish articles concerning topics of Mediterranean World. Welcome to Scientific Cyprus Journal! Welcome to Scientific Cyprus Journal, an online premier journal publishing scientific material. We encourage scientists from Cyprus or with current research about Cyprus to publish in this journal. Since the journal is not restricted to Cyprus or Cypriots, we consider publications from all around the world in different areas. Why publishing in Scientific Cyprus Journal? Do you want to become a reviewer?